The Rocky Patel Vintage 1992 Perfecto with it's 10 year old Ecuadorean wrapper is beautiful and oily delivering a full bodied spicy flavour. The combination of 7 year old Nicaraguan and Dominican fillers adds an element of complexity, richness and balance to this premium Honduran cigar. The Rocky Patel Vintage 1992 Perfecto with it's 10 year old Ecuadorean wrapper is beautiful and oily delivering a full bodied spicy flavour. 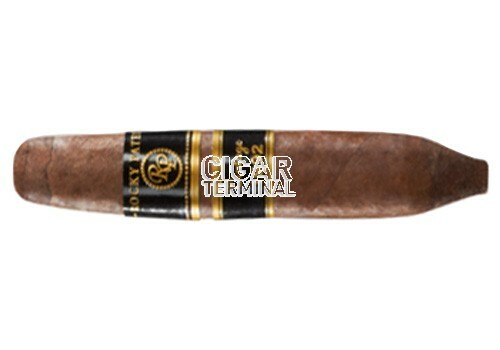 The combination of 7 year old Nicaraguan and Dominican fillers adds an element of complexity, richness and balance to this premium Honduran cigar. Perfect construction.